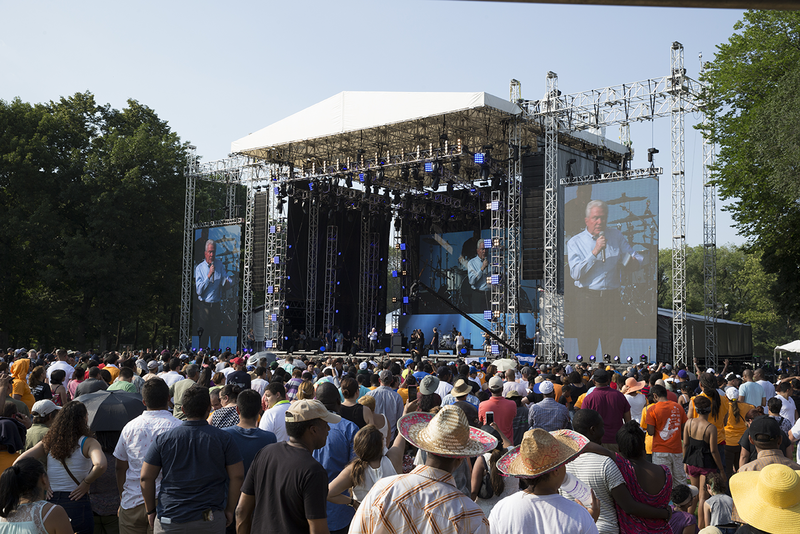 NY CityFest hosted Luis Palau and dozens of other partner evangelists with a free concert and gospel sermons at Central Park in Manhattan. 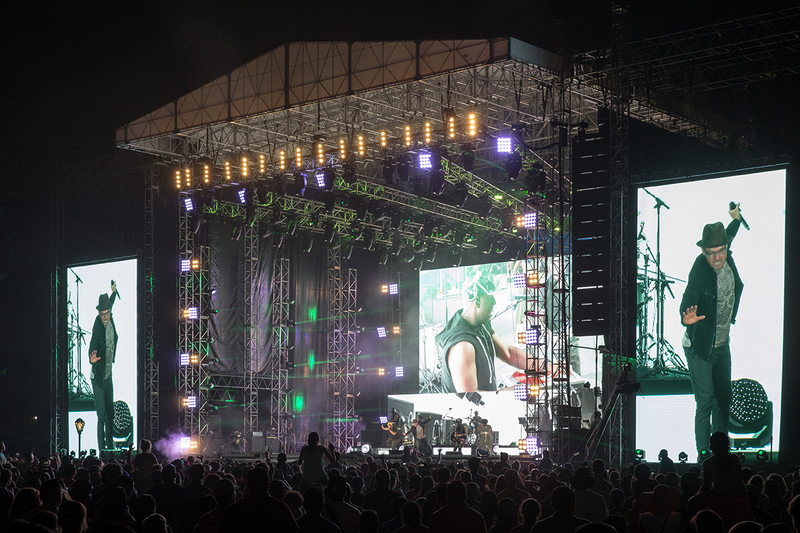 With 60,000 in attendance plus another 20,000 people encircling the perimeter and an additional audience in virtual attendance globally via radio, television and live internet streaming, the pressure was high to provide clear and quality sound throughout the entire event. 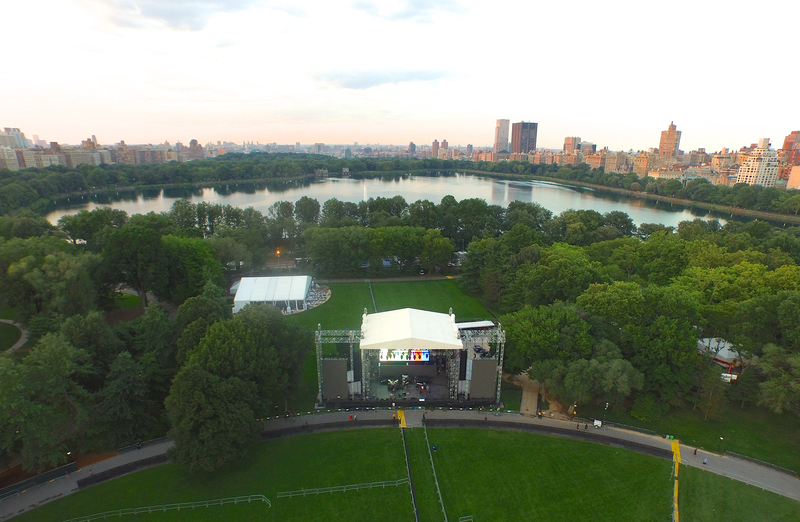 Extending 55 acres and measuring a length of 400m, the venue required a main PA with 2 line delays to cover the large area. 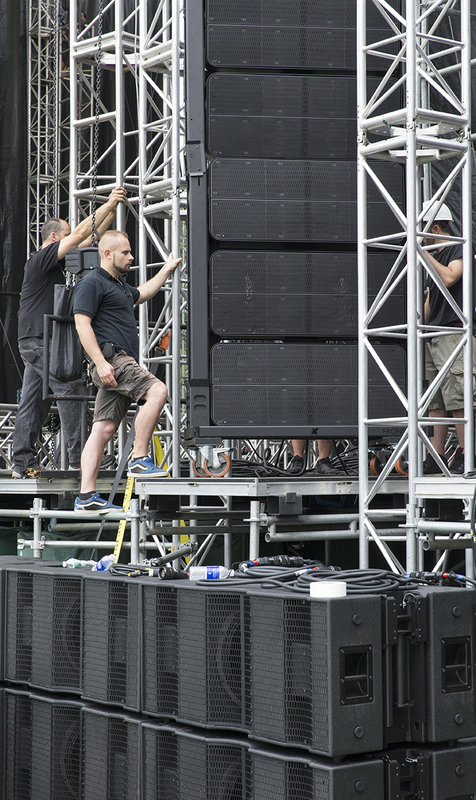 The K-array arsenal included a wall of twelve Firenze-KH8 line array elements paired with eight Firenze-KS8 subwoofers per side. 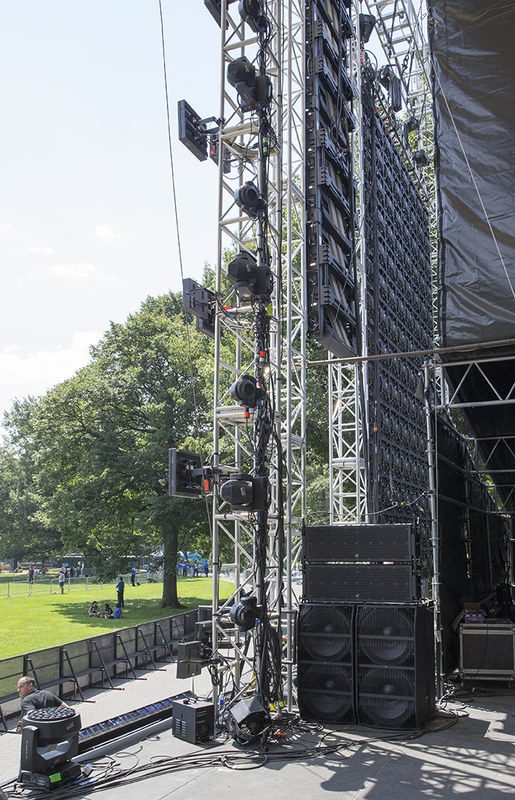 Two Mugello-KH3 loudspeakers were paired with two Mugello-KS5 subwoofers for stage side fills to the left and the right of the performers. Four Mugello-KH2 loudspeakers were originally planned for front fill coverage, but with the impressive digital steering and 120° horizontal coverage of the KH8, they were no longer needed. The side fill amazed both the artists and sound engineers who were surprised by the power of the Muguello-KS5 despite their size. 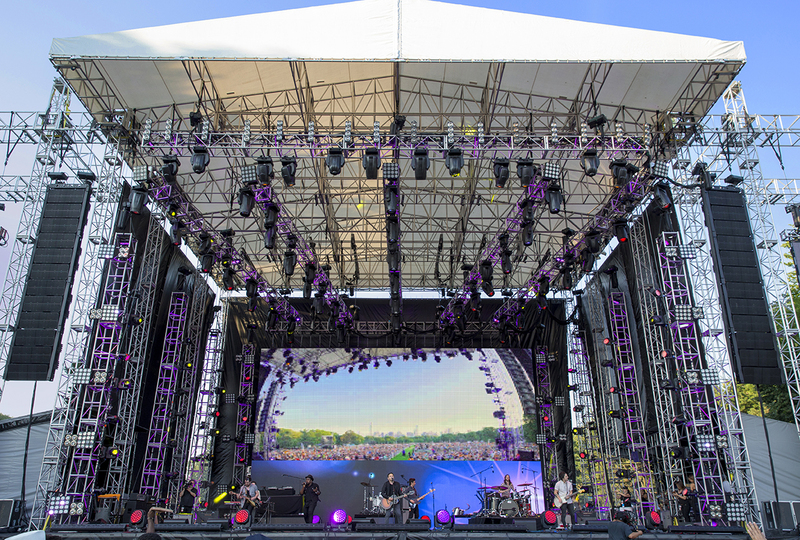 And the sound quality was even and seamless all over the stage that some of the performers didn’t even use wedge monitors. 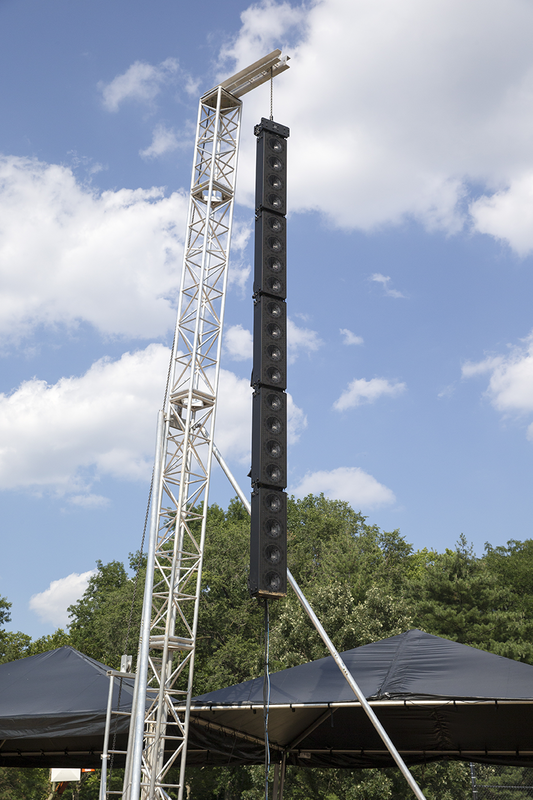 At Delay Towers 1 and 2, a long array of five Firenze-KH7 loudspeakers was flown vertically. 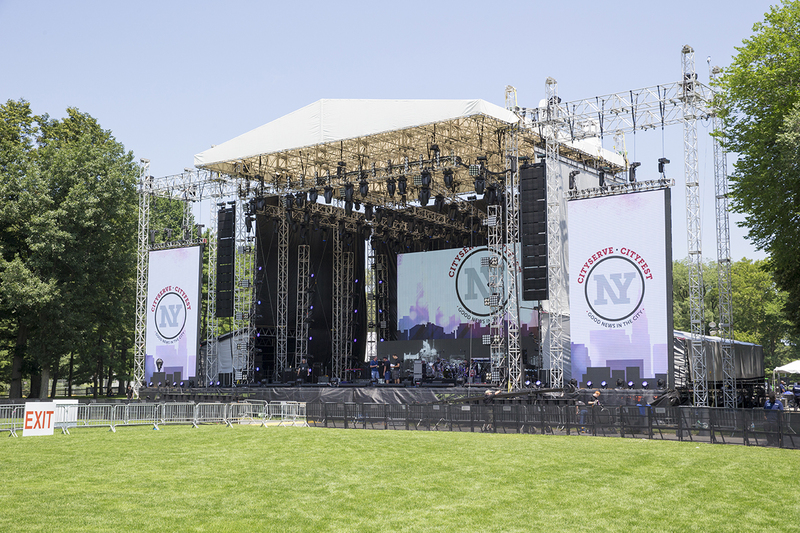 They were paired with three Mugello-KS5 subwoofers each that withstood a couple hours of heavy rain then extended periods of typical New York summer heat. 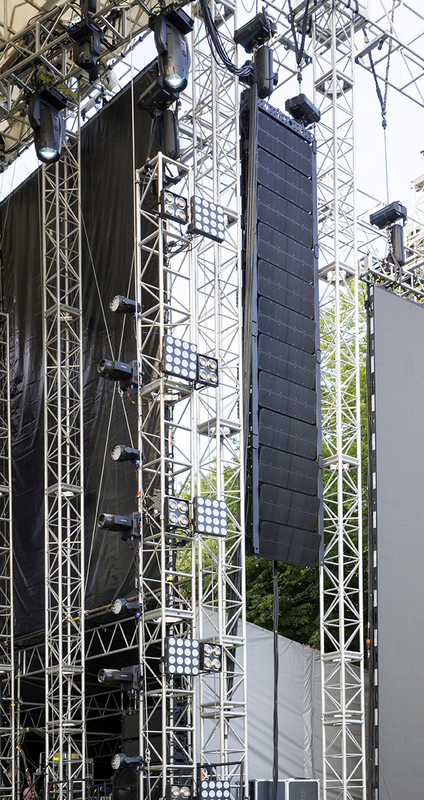 The final set of towers consisted of four Mugello-KH4 loudspeakers with 8 Mugello-KS4 subwoofers each. I was skeptical since I had never seen a system set up like that before and, on such a large platform with a global audience, we had little room for error. But I was extremely pleased with the power, coverage and accuracy right out of the box! I was inspired by the clarity of the PA and found myself making the tiniest changes to the mix, and enjoyed hearing those tiny changes.